This volume shares the first round of results of an ambitious research programme to study the mummies of the Egyptian royals. There is no doubt that such a book has been long-awaited - implementing CT scanning and DNA analysis to study the remains for the first time, adding weight to (or in some cases refuting) earlier interpretations of their state of health, medical conditions and cause of death. Hawass brings his own inimitable style, offering detailed information on the stories of these individuals, placing them in their historic and modern contexts, as rulers of an ancient culture and museum artefacts to be handled with sensitivity and respect. Interpretation of radiographic data from mummies varies greatly from studies of the living. Desiccation and the implementation of various mummification techniques and ingredients can provide misleading results. Early studies of the royal mummies (such as Grafton Elliot Smith's 1903 study of the mummy of Thutmose IV) were plagued by these issues, mainly influenced by the use of early techniques such as plain film radiology. Modern scientific methods such as CT scanning allow these factors to be limited and quantified; however, the manual segmentation of large volumes of computerised data is, in itself, a subjective process. As professor of radiology at Cairo University, Saleem is experienced in the study of the living, and she appears to have applied the same clinical approach to this project, presenting radiological findings on each mummy with precision. The interpretations offered in the book are often put forward as fact, yet as scientists, they can only ever represent the authors' opinions, formulated following thorough examination of the physical remains and the original scan data. It is difficult to ascertain whether these interpretations are agreeable without having had the same access; and it is reassuring that the radiographic data was shared with selected colleagues where it was deemed appropriate. As a scientist working with CT data on a regular basis, there would have been great value in knowing the parameters of the radiographic research. Very little information in this regard is recorded. DNA analysis corroborated by multiple laboratories enabled identities of a number of the mummies to be confirmed. This clearly has value when the remains under scrutiny are suspected to belong to the pharaohs and, as such, they hold particular importance for Egypt's cultural heritage. The publication is well-presented, with a generous collection of colour plates to supplement the inevitable wealth of black-and-white radiographic images. 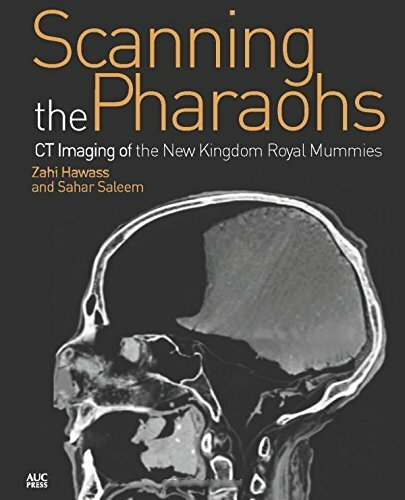 The use of highquality CT reconstructions enables readers to visualise the bodies, and particularly the faces, of the pharaohs with incredible clarity. The arrangement of the chapters in chronological order makes for a logical and wellthought- out read, even when the content is heavy with clinical language which may be a little too medical in tone for the uninitiated reader. Nonetheless, it presents valuable theories and new insights on the ancient Egyptian pharaohs, making it a valuable addition. Lidija is a Research Associate working on the Ancient Egyptian Animal Bio Bank Project at the University of Manchester's KNH Centre. No brief review can do justice to this major work, which is not a volume for the 'beginner': based on a post-doctoral thesis, it assumes a considerable prior knowledge of the subject. It is ground-breaking in its development of a new way of interpreting New Kingdom temple reliefs and in its conclusions regarding the role of the pharaoh, and will be of inestimable value to professional Egyptologists. However, it will also be of interest to serious amateur Egyptologists by enabling them to interpret more readily the layout of the confusing jumble of images on New Kingdom temple walls which, as Lurson reveals, follows recognisable patterns. The author begins by pointing out how the methods developed in the 1960's for interpreting the reliefs in Graeco-Roman temples do not work when applied to New Kingdom temples. These methods are based upon comparing scenes that are symmetrically placed upon the temple walls, rather than by attempting to reconstruct temple ritual on the basis of sequences of the ritual scenes. Axial and diagonal symmetry do occur in New Kingdom temple decoration, but, whereas hieroglyphic inscriptions predominate in Graeco-Roman reliefs, it is the iconographic elements of the scenes in New Kingdom temples that must be compared, and broken down into smaller parts: "The iconographic elements [such as the White Crown and the Red Crown] that set apart two symmetrical scenes from each other shape recurrent pairs". Lurson calls these "typepairs" and points out that "a type-pair basically unites two elements with complementary meanings", rather like two symmetrically- placed images of Christ on a Byzantine scene, where one breaks bread and the other pours the wine. Having developed in great detail his own methodology for interpreting New Kingdom scenes, the author goes on to apply this to the analysis of two groups of ritual scenes from the reign of Sety I (c. 1290-1279 BC) decorating Karnak Temple's Great Hypostyle Hall. This leads him to some conclusions regarding kingship which he then extends to encompass the whole of the Ramesside Period. 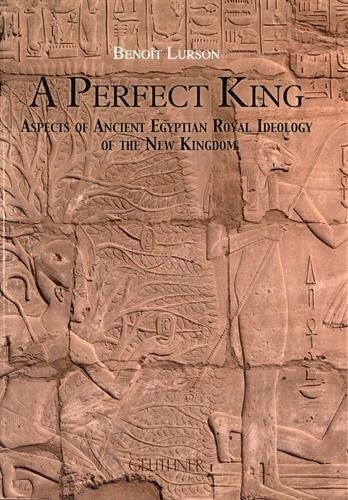 He asserts that "in essence the Egyptian king is no priest ... the king performed rites, but this activity defined him as a king" and that the relationship between the king and the gods is a contractual one, based on action rather than a priestly one based on liturgy. Although not profusely illustrated, the book contains a sufficient number of line-drawings, diagrams and colour plates to clarify the author's arguments, and a long and comprehensive bibliography is included. Egypt's ancient tombs are (of course) some of the most magnificent monuments in the world. A house for the ka spirit, these burial structures in their various forms were built to ensure the deceased enjoyed a happy and wellprovisioned afterlife. Naturally the most spectacular monuments belong to the pharaohs of Egypt, and here Aidan Dodson presents a comprehensive exploration of the Egyptian royal tombs, from the Predynastic era through to the end of paganism (with the Arab Invasion of AD 640). Beginning with the famous decorated Tomb 100 at Hierakonpolis, we trace the development of royal funerary architecture of for kings but also their royal families, including (uniquely) the mausoleums of Egypt's kings in absentia (such as the Persian Cambyses II and Roman Emperor Diocletian), incorporating results from the latest fieldwork (such as details on the Valley tomb (KV40) for the children of Thutmose IV and Amenhotep III, and the recently discovered Sixteenth Dynasty royal cemetery at Abydos). 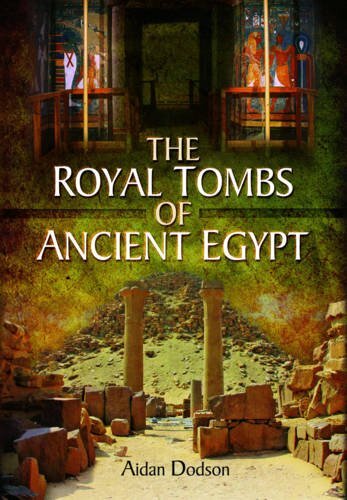 The volume includes highly detailed maps of the main cemetery areas, together with accurate plans of the major royal funerary complexes, from the Umm el-Qa'ab mastabas of the early dynasties and Old Kingdom pyramid fields to the New Kingdom grand mortuary temples and rock cut tombs in the Valley of the Kings. Each is illustrated with black-and-white photos in the extensive section of plates at the back of the book. My only complaint is one levelled at several other books reviewed in AE magazine recently (publishers please take note!) and that is the difficulty in relating the illustrations grouped at the end of the book (and labelled figure 1, figure 2, etc) back to the main text or indeed the maps at the front. 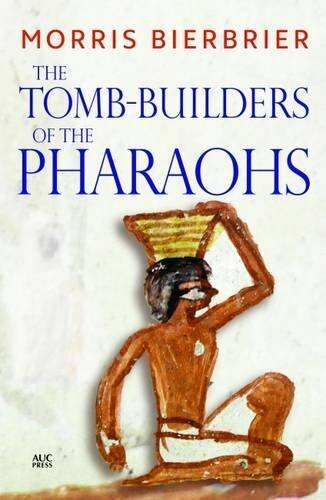 But that minor grumble aside, this absorbing work, supported by notes and a substantial bibliography, will no doubt become a set text for anyone exploring Egypt's royal funerary architecture. edited by Paola Giovetti and Daniela Picchi. Exhibition catalogues can contain very different levels of detail depending on resources and target audience. The exhibition visitor will expect a certain degree of detail, and object images, to encourage them to purchase a souvenir of their visit. Such catalogues often address a range of themes, some or all of which are presented in the exhibition, with the intention that the volume will stand alone long after the exhibition closes, and satisfy 'armchair visitors' who did not visit in person. 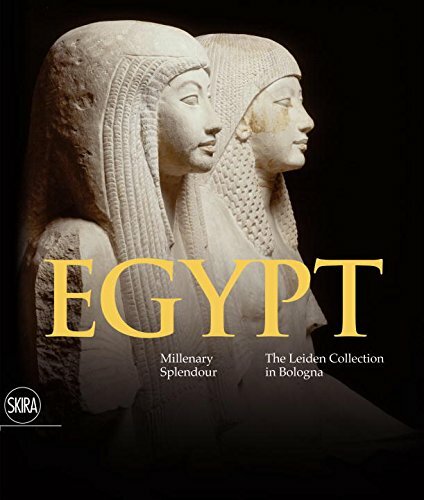 The substantial, full-colour publication of the Egypt: Millenary Splendour exhibition does all of that, and more. This long-anticipated exhibition drew together two world class collections in the newly-transformed Museo Civico Archaeologico in Bologna in 2016: two collections whose histories are tightly woven within 'twin' institutions, particularly as they each hold important reliefs and sculptures from the same area of the Saqqara necropolis. Since I was not fortunate enough to visit the exhibition itself I was hoping to gain some sense of the history of the collections, and also more of the background to the excavations of these objects, and why they have been chosen for display in this exhibition. Again, the catalogue does not disappoint: international experts in their fields have contributed extensive sections on key themes set within a chronological framework, from the 'Dawn of History' and the beginning of state formation in Egypt to 'Egypt during the First Millennium'. I was especially interested to read about the ongoing collections research, particularly the 3D modelling of reliefs from the tomb of Horemheb at Saqqara and the project to reconcile the iconographic programme of the tomb in situ using these exact relief replicas. While relevant objects have been included throughout the volume to illustrate the section themes, a comprehensive list of entries for all of the objects included in the exhibition is also provided at the end of the catalogue. Relevant references provided at the end of each section, and a detailed bibliography at the end of the volume, will also encourage the 'armchair visitor' to enhance their experience of the exhibition with further reading. edited by Gianluca Miniaci & Wolfram Grajetzki. 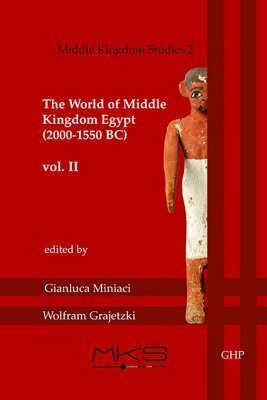 This is the second volume in a new series (Volume I was reviewed in AE93), highlighting the latest research into the period spanning from the early Middle Kingdom through to the early New Kingdom. Volume II presents 17 papers focussing on archaeology, written sources, religion and foreign relations. Two papers concentrate on female burials. Ingrid Melandri explores two types of burials for Twelfth Dynasty royal women at Dashur, Lisht, Lahun and Hawara: the 'niche type' (a series of linked burials along a corridor) adopted for the tombs of princesses and the 'male model' which copied the standard royal architecture and was used for the burials of queens. The results show how women were playing an increasingly important role at court during the Middle Kingdom. Anna Consonni reports on the early Middle Kingdom burials found in A17, a non-royal family tomb found under the New Kingdom temple of Amenhotep II at western Thebes. Expensive objects found with the women's burials (including an electrum amulet and a copper or copper/ alloy mirror) demonstrate widespread wealth at this time, while Marilina Betro's investigation of three Dra Abu el-Naga tombs with a window, dating to the very early Eighteenth Dynasty, leads her to suggest that new models of funerary architecture in the New Kingdom developed earlier than previously thought, evolving from Middle Kingdom traditions, possibly tied to the solar cult. The power of the elite during the Second Intermediate Period is highlighted in two papers: the unpublished monumental rock-cut tomb no. 73 at el-Kab (thought to belong to local governor Sobkenakht I) is described by William Vivian Davies, while the editors publish a stela in the Egyptian Museum in Turin, belonging to 'treasurer' Senebsumai, one of the most powerful Thirteenth Dynasty officials. John Coleman Darnell and Colleen Manassa Darnell present a preliminary report on their Umm Mawagir fieldwork in the Kharga Oasis, with evidence suggesting a Second Intermediate Period industrial settlement of local people who interacted both with Upper Egypt and Nubian populations. The relationship between Egypt and Lebanon during the Twelfth Dynasty is reviewed by Karin Kopetzky through the analysis of Egyptian small finds from the tombs of the local mayors at Byblos and at Tell el-Dab'a in Egypt. Other papers include Fred Vink's investigation of the framing lines of magical wands[see his article p12], Mohamed Gamal Rashed on why the egg hieroglyph was used in the spelling of Isis, Marilina Betro and an analysis of the Middle Kingdom text The Teaching of Chety (one of the most copied texts among the Deir el- Medina craftsmen in the New Kingdom) by Pascal Vernus, specifically passages that caricature the sandal- maker who is described as "somebody living on corpses and biting leather"; the second part of this may account for the dental abnormalities found in a woman buried with shoemaking materials. The volume is well illustrated, with copious notes and bibliography presented for each paper and is essential reading for anyone interested in this fascinating period of Egyptian history. edited by Elizabeth Frood and Rubina Raja. This series of essays arose from a conference held in 2009. It explores how the concept of sacred space operated in the ancient world. An opening essay "Contextualising the Sacred" gives an overview of the issues. Three essays examine specific examples from Sumer, Phoenicia and Ptolemaic Egypt respectively. The final four deal with a fascinating funerary stele and mortuary complex from the Syro-Hittite city of Zincerli, the urban landscape of Uruk in the Hellenistic period, change and continuity in the Decapolis cities of southern Syria in the Roman Period and finally an essay on the outlook of the poet and theologian Ephrem the Syrian. 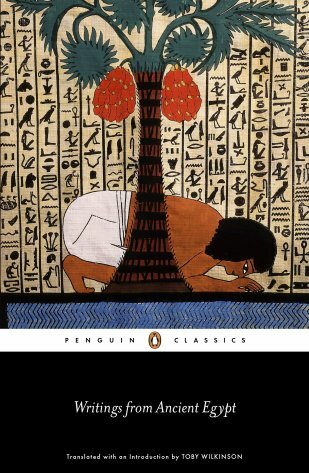 The subtitle of the collection is based on the conference and is somewhat misleading for the book itself since one essay looks at the period around 2000BC another deals with a man who died in the 370's and only one of the eight essays focuses on Egypt. That essay examines the development of temple architecture in the Ptolemaic period and how the chapels within the complex may have functioned with rituals and processions. The specific location of chapels and courts within the temple complex is discussed, together with the reliefs and inscription. The aim is to show how the temple designs both continued older traditions from the New Kingdom and also evolved in fresh ways in the Ptolemaic Period. Issues of continuity and discontinuity are in fact a major theme of the collection as a whole. 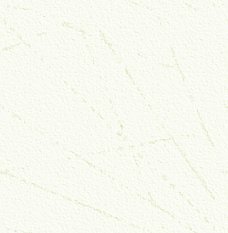 This detailed excavation report describes the Theban tomb (no. 99) of Senneferi, a high official who lived during the reign of Thutmose III (c.
1450 BC). The name may sound familiar - but should not be confused with the slightly later Mayor of Thebes, Sennefer, owner of the wellknown 'Tomb of the Vines' (TT 96). 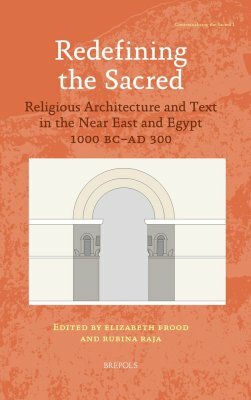 The tomb chapel itself is very badly damaged, having lost most of its decoration, but despite initial appearances, it has yielded much new evidence.This volume covers only the New Kingdom material; a subsequent book will describe the intrusive post-New Kingdom (and post-Pharaonic) finds. The book opens with an in-depth description of Senneferi's titles, family connections, other monuments and attestations besides his tomb and his historical context. Senneferi held dozens of titles but his main function was that of 'chancellor', with responsibility for the King's own wealth and in particular the organisation of foreign campaigns. There then follows a very detailed account of the architecture and decoration of the tomb, with particular attention paid to pigments found on the walls (illustrated in fine colour plates) and remaining inscriptions. Little remains of the painted decoration, but what survives includes scenes of military action, processions of men carrying funerary equipment and the 'opening of the mouth' ritual, along with the brightly patterned ceiling. Based on parallels with better-preserved contemporary tombs, several of the broken scenes and texts have been restored. Small finds, such as pottery, wooden coffin and papyri fragments, along with human remains, are described by individual specialists. Of particular interest are a number of ostraca that show scenes from funerary rituals. Finding such items, even in a badly disturbed context, enables the better identification of objects now in museums - and vice versa. 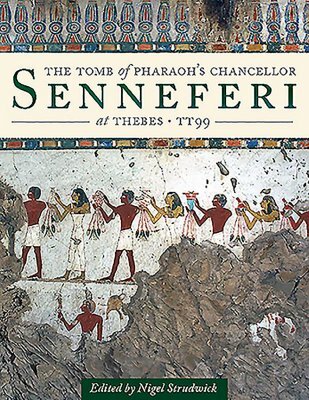 While the tomb of Senneferi is not likely to be on the general tourist itinerary, it proves what is possible to gain from even the most damaged remains. The book contains a wealth of important and well-presented information and will be useful for anyone with a special interest in Theban tombs. In this highly readable book, Toby Wilkinson presents an anthology of his own translations of ancient Egyptian texts for a non-academic audience, with plenty of background information for context. He discusses why ancient Egyptian writings are often overlooked (hieroglyphic text is often seen as merely decoration to the uninitiated, few people are proficient at reading it, and there are no famous writers to compare with household names such as Pliny and Virgil), before describing the evolution of writing in Egypt and the challenges of translating it. His selection includes classics such as The Tale of the Shipwrecked Sailor, together with examples of a wide variety of writings such as teachings, mortuary texts, and autobiographical inscriptions. This welcome reissue of a classic work first published over twenty years ago, provides a very informative and readable insight into Deir el-Medina focussing on its inhabitants living through the Eighteenth to Twentieth Dynasties. Bierbrier uses a wide range of available sources to look at the lives of those who built the royal tombs in the Valley of the Kings. These sources include papyri, stelae, tomb inscriptions and, perhaps uniquely, ostraca, providing a vivid picture of the lives and characters of the residents. Bierbrier reconstructs the daily lives and preoccupations of the people and includes a detailed description of the village in which they lived and the tombs they built for their own share in eternity. The study ends with a summary of the later history of the site after the abandonment of the Royal Necropolis, starting with its later history in ancient times and continuing in to the modern period. Highlights of the rediscovery of the site include the excavation of a huge rubbish pit containing hundreds of ostraca and many papyri. The book is illustrated throughout with well-chosen photographs and is well worth revisiting for those who are already familiar with it and is recommended to those who are new to the subject.